The legendary Tai Cheong egg tarts. The one that draws queues like this (and I think this is on a less busy day). The one that Chris Patton loves. Well, I have to say I was a bit underwhelmed. Maybe it's due to expectations caused by the hype, or the fact that I ate them cold. I hear they are better when eaten warm, right there on the spot. 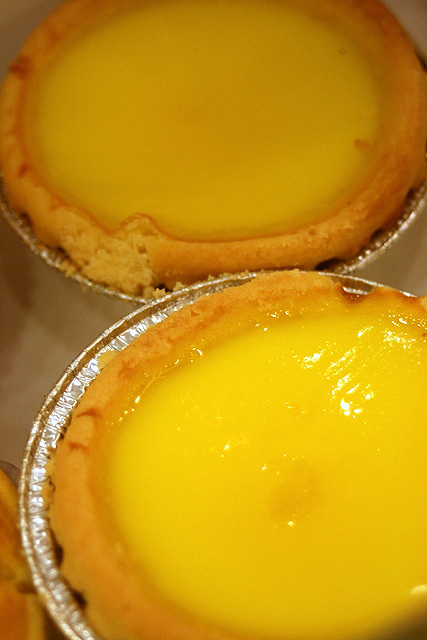 Guess I should try them again next time for a fairer estimate, but I can't help but feel there are plenty of egg tarts in Singapore that are almost as tasty, if not more. 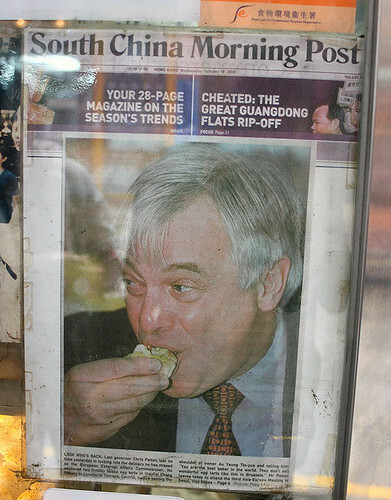 They also have coconut tarts and other items. This was pretty good. Then again, how can it not be? 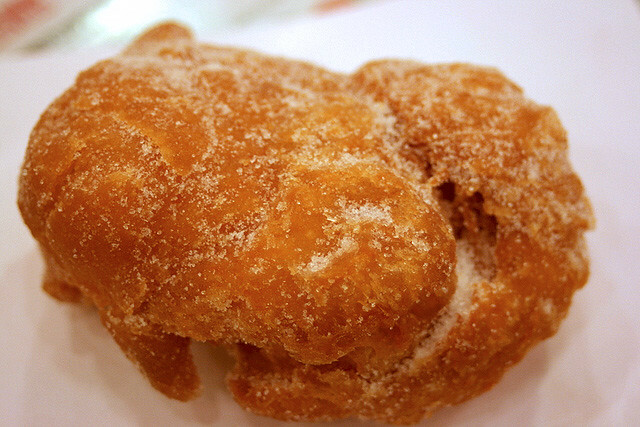 It's deep-fried dough coated with sugar. Tai Cheong seems to have gone on an expansion spree. 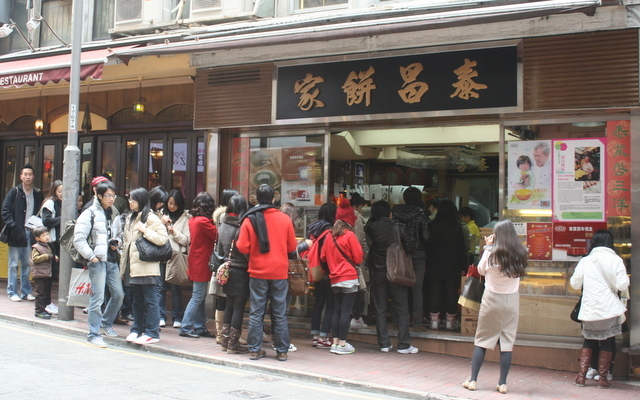 It now has 15 outlets throughout Hong Kong and Macau, but this is the original branch at Lyndhurst Terrace. I didn't know it then, but the Tao Heung group seems to have acquired the bakery, so that might explain it. 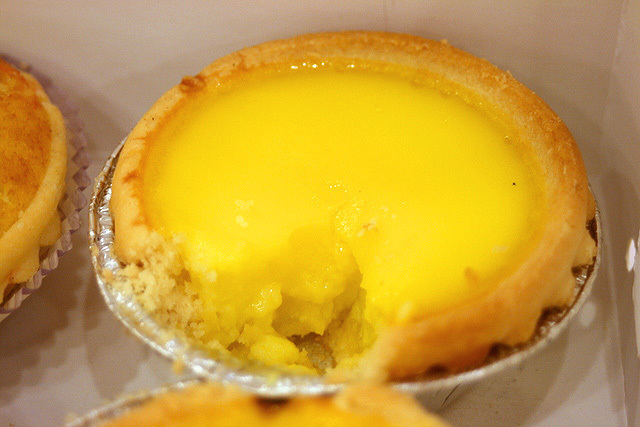 Also, I can't believe their egg tart recipe is publicly available! 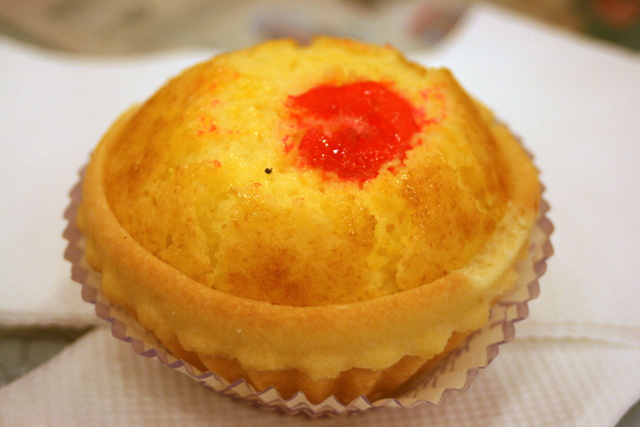 It's also on CNNgo's "behind the scenes" feature on Tai Cheong Bakery. Update: The recipe, as expected, doesn't quite turn out the same kind of tarts. Check out The Little Teochew's experiment on it. This is NOT the original Tai Cheong Bakery. The original shop was on the opposite side of the street, and closed due to soaring rent charged by the landlord. This shop and all the other branches are new and re-branded. Hi Peech! Glad you're still reading, and thanks for the info! Yes, I heard the original shop moved just a few doors up, but didn't know this re-opened one was part of the rebranded set. Honolulu Cafe was also on my HK "to eat" list, but a pity I wasn't able to check it out. Too little time, too many eateries!